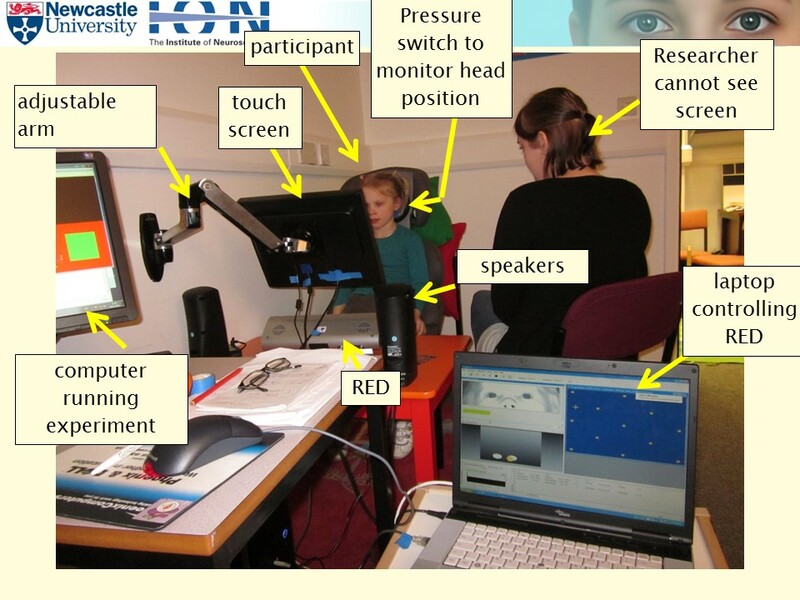 Back in 2011, my then colleague Dr Catherine O’Hanlon and I carried out a study in which young children gave responses using a touchscreen, while we simultaneously tracked their eye movements. I’ve been asked a few times by other researchers about how we managed this, so I thought it would be useful to share some information here. Here (8Mb) you should be able to download a Powerpoint presentation I gave to EyeTrackBehavior in 2011. 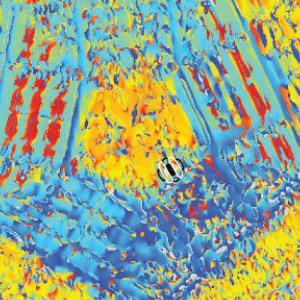 It’s about the practical issues rather than the science, with photos of our set-up and videos of the experiments. Some code fragments for using the SMI RED eye tracker with Matlab are here. I’ve also uploaded a zip file (62Mb, compressed with 7-zip) containing the complete Matlab code, audio clips and images we used to run our experiments. This worked in 2011 but no longer runs on my version of Matlab in 2016 so don’t expect it to work for you. However, it might possibly be useful for anyone aiming to do something similar so I thought why not share it. You can download the paper from the journal , or from my website.